Perhaps one should expect no better from a Labour Party member whose main talent lies in sounding both original and radical. 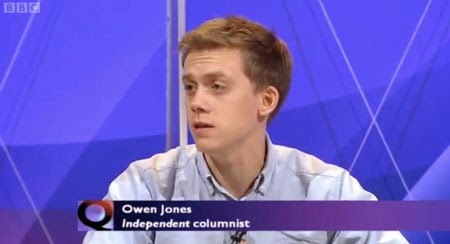 However Gaza has revealed just how vacuous are the ideas and analysis of Owen Jones. It is because the ideas he gives expression to are held by a wide circle of people, many of whom are sincere in detesting all that Israel is doing. I have decided to deconstruct two articles of Jones in the Guardian – How the occupation of Gaza corrupts the occupier [July 21] and anti-Jewish hatred is rising – we must see it for what it is [August 12]. There is no recognition by Jones that Israel is a settler-colonial country, whose treatment of the indigenous population is no different from similar settler-colonial states. To Israel’s establishment holocaust historians, such as Yehuda Bauer, the idea that the holocaust as unique i.e. with no relevant lessons for humanity as a whole, is an article of faith. Yad Vashem effectively reserves for the holocaust the job of legitimising the racism of the Israeli state. 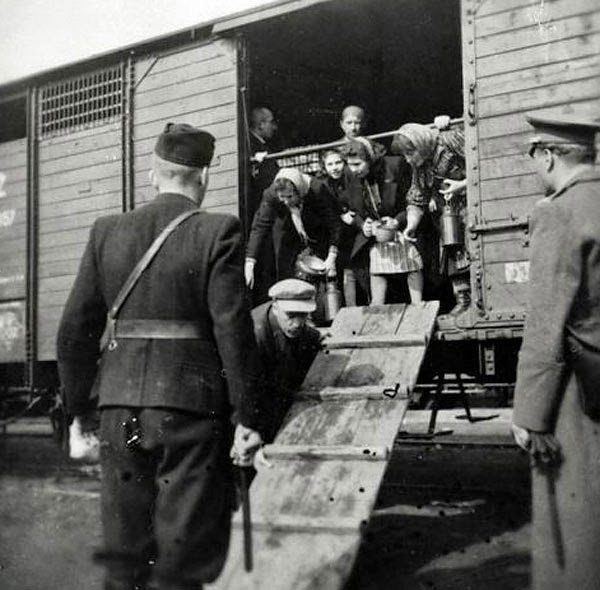 Whatever Israel does, it is justified by the holocaust. How interesting! One of the key demands made by Netanyahu, during negotiations with Abbas, was that he recognises Israel as a Jewish state. What is a Jewish state? A Jewish state is the home of the mythical Jewish nation, i.e. all Jews, wherever they live and whatever country they are citizens of. It is based on the anti-Semitic Zionist idea that Jews are strangers in the countries where they live, living in Exile (Galut) and have more in common with each other than those they live amongst. It is also the basis of the world Jewish conspiracy theory. It is also why there is no Israeli nationality and Israel cannot be a state of its own citizens. Hence Jones’ dismissal of the idea that ‘Israel is itself the source of anti-Semitism.’ Today is so absurd. Israel claims the barbarities of Operation Child Murder in Gaza not just on behalf of its own Jewish citizens but Jews world-wide. Of course that invites people to attack Jews (something Zionism and the Israeli state don’t mind since it can only provide more Jewish immigrants). The Zionist movement in the past 30 years faced one major difficulty when accusing its opponents of ‘anti-Semitism’. People not only did not accept that but resented the accusation. Most people know the difference between anti-Semitism (hatred of and discrimination against Jews) and anti-Zionism (opposition to the Israeli state and the movement that founded it). Hence the concept of a ‘New anti-Semitism’ took root. In the words of leading US neo-cons, Nathan & Ruth Perlmutter, Israel is the ‘Jew among the nations’ [The Real anti-Semitism in America, (NY, 1982], Alan Dershowitz ‘Chutzpah’ (Boston 1991) This at a time when opposition to Apartheid (in South Africa) was reaching a peak. But most people aren’t fooled. You can be anti-Semitic in terms of an individual(s) but not against a government or state, which is not a human being. ‘New’ anti-Semitism was a trick that fooled no one. Anti-Semitism was not however a scientific law. In the medieval Classical Period, anti-Semitism was the product of the Jews’ role as the oppressors of the peasants. 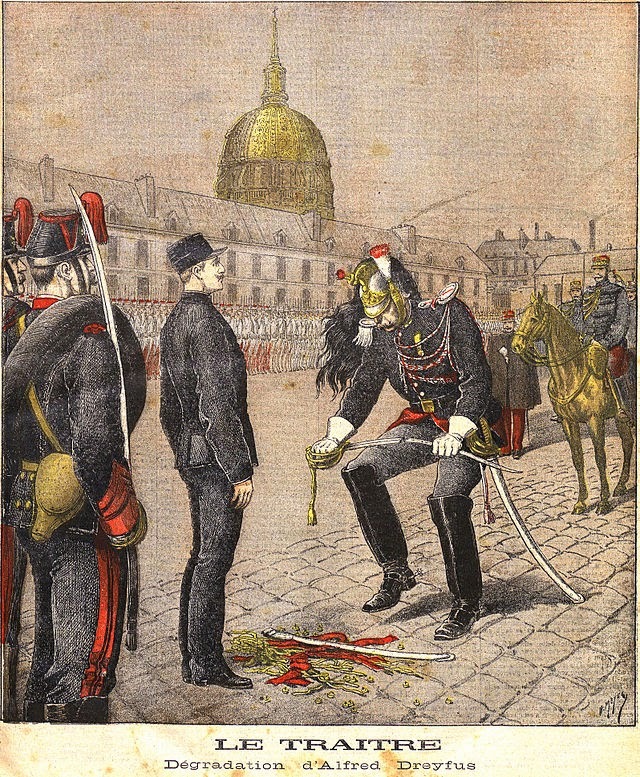 Shahak argues that anti-Semitism was a popular movement from below and the Jews were defended by the elites – the Kings, the Higher Aristocracy and Upper Clergy. By way of contrast, during the Nazi period anti-Semitism was a movement from above, the German state in particular, [Shahak, p.64] and it sought to involve the most backward, usually peasant and lower middle class sections of society. This was the period of ‘scientific’ racism, which were popular in the main imperial heartlands to justify their Empires. Rather than pontificating on something he knows nothing about, Jones could read the slim book by the late Professor Israel Shahak of the Hebrew University, Jerusalem Jewish History Jewish religion [Pluto Press, 1994, London]. Shahak, as well as being an active fighter for civil rights in Israel, was a childhood survivor of the Warsaw Ghetto and Belsen concentration camp. 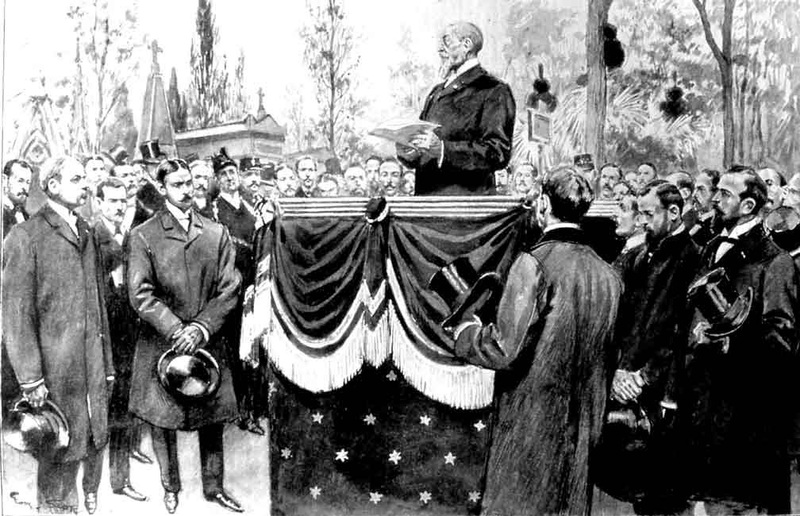 Until the mid-19th Century in Eastern Europe anti-Semitism was based on the Jews’ actual social and economic role and Christian anti-Semitism aimed to secure the conversion of Jews. Nazi anti-Semitism was different. It was based on the idea that Jews were members of a different race and could never change. Hence the phenomenon in Germany and Nazi occupied countries of Christian Jews, who attended church wearing the yellow star. 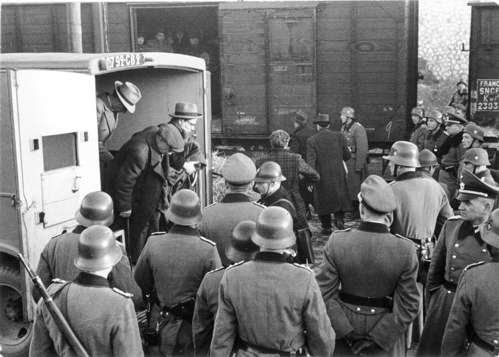 Zionism must be vigorously supported in order to encourage a significant number of German Jews to leave for Palestine or other destinations.’ Zionism could be used ‘as legal justification for depriving German Jews of their civil rights…. He sanctioned the use of the Zionist movement in the future drive to eliminate Jewish rights, Jewish influence and eventually the Jewish presence in Germany.’ [Die Spur, p.153. Francis Nicosia, The Third Reich and the Palestine Question, pp. 25-26, Edwin Black, Ha’avara – The Transfer Agreement p. 173. 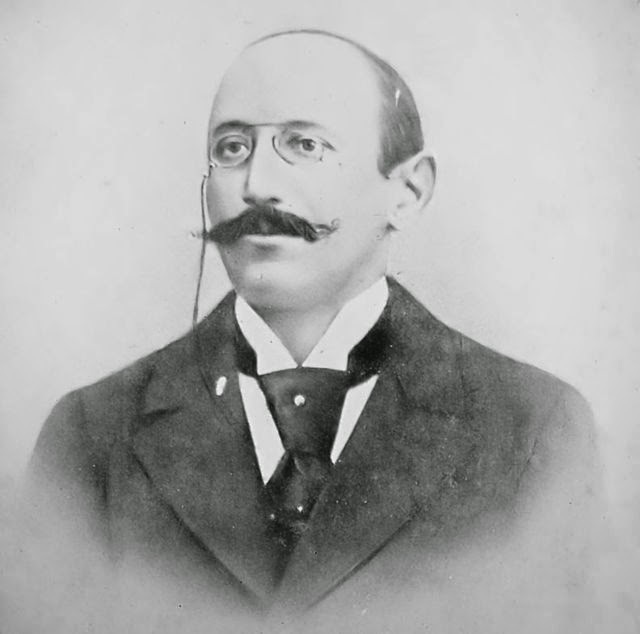 Kurt Blumenfeld, the leader of German Zionism, held almost identical views. 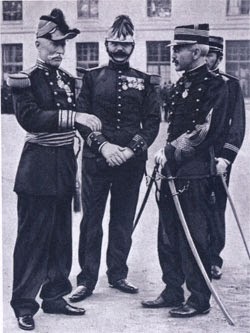 In a letter to Walter Rathenau, Foreign Minister in a Weimar Government, who was assassinated in 1922, he spelt out the Zionist position: ‘Under no circumstance does a Jew have the right to represent the affairs of another people.’ [N. Weinstock, Zionism: A False Messiah, p. 135. Isaac Deutscher, the biographer of Trotsky, wrote that: ‘to the [Polish] Jewish workers ‘anti-Semitism seemed to triumph in Zionism, which recognised the legitimacy and the validity of the old cry ‘Jews get out!' The Zionists were agreeing to get out.’ 'The Non Jewish Jew ' & Other Essays-The Russian Revolution and the Jewish Question' pp.66/7. 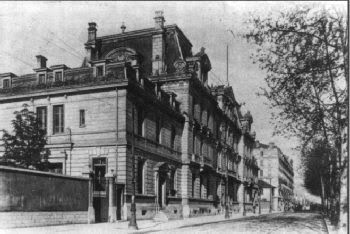 In Poland the Zionists had had a significant base, but as anti-Semitism based they declined such that in the 1938 elections for Jewish seats in Warsaw, the anti-Zionist Bund won 17 of the 20 seats and the Zionists precisely one. 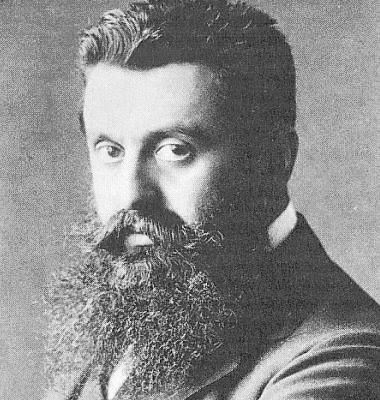 There is a myth that Herzl was converted to the Zionist idea by the Dreyfuss Affair. There is no evidence for this and the Affair is not even mentioned in his formative pamphlet, The Jewish State, published in 1896 and is only mentioned in passing in his 4 volume Diaries. 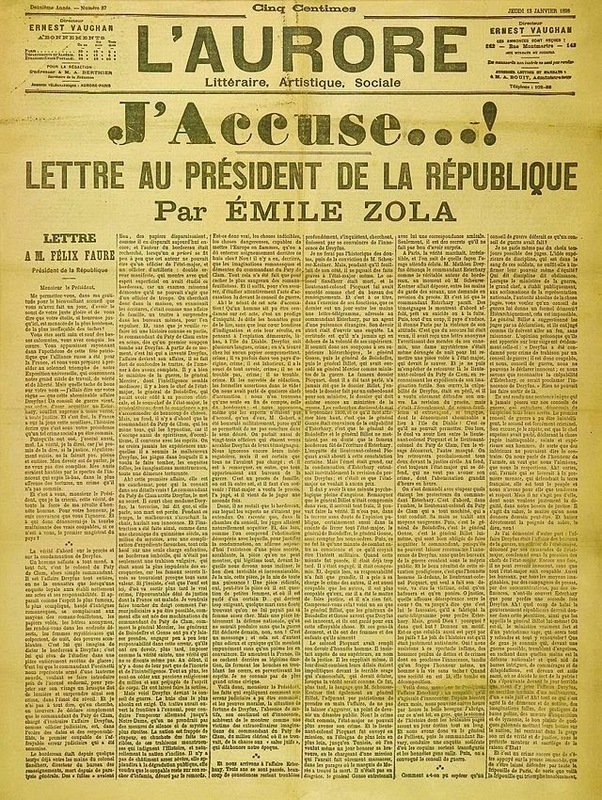 What Herzl did do was secure a favourable review of The Jewish State in Drumont’s anti-Semitic daily La Libre Parole. 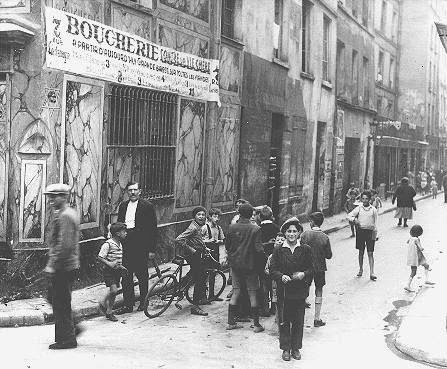 It was this successful battle against anti-Semitism that made opposition to anti-Semitism a foundation stone of Republican France. Over 40 years later it was still felt when the non-Jewish population defended the Jews under Nazi occupation. 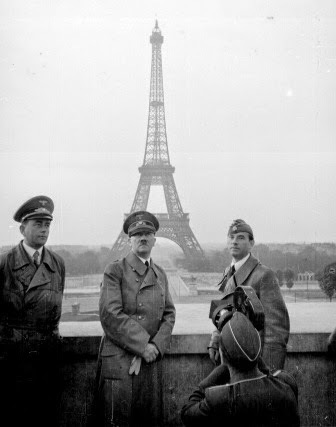 The Nazis didn’t even dare introduce the Yellow Star and in Paris some 30,000 Jews lived openly. This explains why half of France’s Jews survived the occupation (most of those who died were Jewish refugees in France). The fact that anyone gives credence to the Israeli propaganda that Hamas uses children as human shields is proof itself of how biased the media and the BBC are. When Jones turned his attention to the holocaust he was equally out of his depth. He argued that the ‘Crucial difference with Israel (is)… The moral corruption that comes with any occupation has fused with the collective trauma of the Jewish people.’ But this ignores the Zionist record concerning the holocaust. 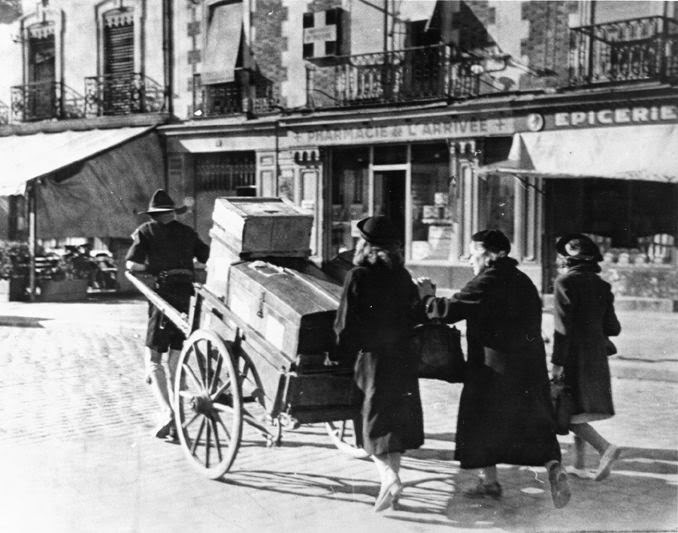 When the survivors first began arriving in Israel they were treated with hostility. Unlike the brave Israelis, who had murdered and dispossessed the Palestinians with equanimity, the survivors had gone like lambs to the slaughter without resistance. The fact that they had no arms to defend themselves with was ignored. In Israel, holocaust survivors were termed 'soap' - sapon. "The term has since become generic for cowardice and weakness.” [Israel: Founders & Sons, Amos Elon, p. 209, Weidenfeld, 1971]. When Jones wrote that ‘‘In Israeli society here is a victim mentality that is deeply, deeply rooted in the holocaust…’ he failed to understand that this is also true in nearly all settler-colonial countries. In South Africa, the death of 28,000 civilians in British concentration camps was seared into the consciousness of Afrikaaner nationalism and helped justify the system of apartheid. The Boers and Whites of South Africa also had a victim mentality. So too did the settlers of what became the United States of America and the colonists who were transported to Australia. In short Owen Jones should steer clear of Palestine, Zionism and anti-Semitism since he knows absolutely nothing about his subject and engages in the same tired and worn clichés.